For several years, the number of healthcare jobs has been drastically increasing—and experts say this growth won’t slow down any time soon. The U.S. Bureau of Labor Statistics (BLS) shows that more than half of the country’s fastest-growing jobs are in healthcare, offering a total of 9.8 million new jobs through 2024. While there are so many opportunities to choose from in this booming industry, we’ve highlighted some of our favorite healthcare careers below—along with the degrees that will help you land them. Athletic trainers are responsible for treating and preventing sports-related injuries. As more Americans strive to get in shape, they’ll rely heavily on athletic trainers to keep their muscles and bones healthy in the process. That’s why the number of jobs for these healthcare professionals is expected to rise by a whopping 21 percent through 2024, the BLS reports. In order to become an athletic trainer, students typically need a bachelor’s degree in a subject like health studies. From there, they must meet their state’s licensure or certification requirements. Mental health counselors help their clients manage and overcome emotional disorders such as anxiety and depression. In the coming years, more Americans will see mental health services covered by their insurance. At the same time, the nation has also faced an increase in war veterans who need access to these types of services. For this reason, the number of jobs for mental health counselors will increase by a staggering 20 percent through 2024, the BLS states. Students who want to help others by entering this fast-growing field usually need an advanced credential, such as a master’s degree in mental health counseling. They must also receive licensure in the state in which they want to practice. 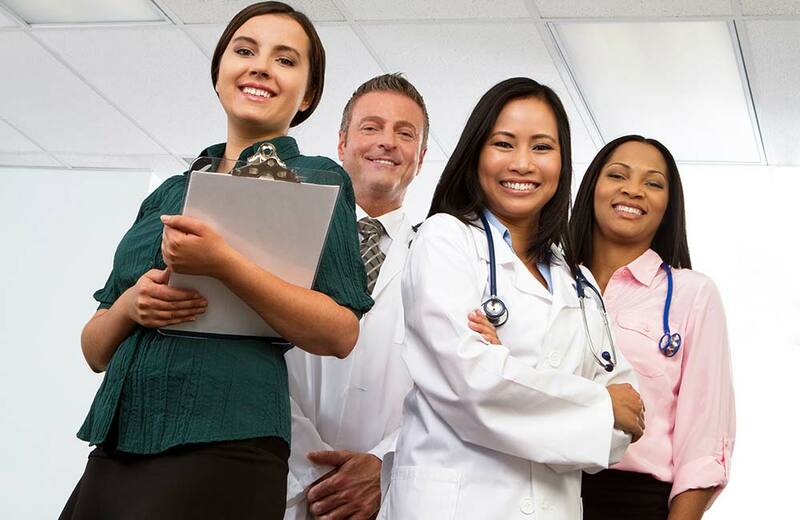 Medical and health services managers coordinate and manage entire healthcare facilities, departments, or practices. Like many healthcare careers, the medical and health services manager profession will see drastic growth as the baby boomer generation ages and requires more medical care. According to the BLS, the number of jobs for these professionals is predicted to grow by 17 percent through 2024. To become medical and health services managers, students typically must earn a master’s degree in a subject like public health (MPH) or health informatics and management. Health educators teach others how to improve and maintain their overall wellbeing. In recent years, the nation has strived to reduce the costs of healthcare by teaching people how lead healthy lives. This is why the demand for health educators only continues to increase. The BLS reports that, through 2024, the number of jobs for these professionals will rise by 13 percent. To become a health educator, students generally need to earn a bachelor’s degree in a topic like health studies. Some positions, however, require an advanced credential, such as a master’s in public health (MPH). Social and community service managers supervise and coordinate programs and services to support their local area and its people. As the aging baby boomer population demands more health services, there will be a growing demand for social and community service managers. The BLS states that the number of jobs for these healthcare professionals is expected to grow by 10 percent through 2024. Students who wish to become social and community service managers should earn a bachelor’s degree in a subject like health studies. However, more advanced positions will require a master’s degree, such as a master’s in public health.